Get ready for some volleyball action in the backyard! You don't need an expensive, professional volleyball set-up, when your child can help build their Own from easy-to-find materials. Your child will develop her catching, tossing and cooperation skills with teammates. She'll also have the Opportunity to learn how to keep score while getting some good exercise! Help your child make the net! Have her hold a dowel upright in the centre of a coffee can, while you fill the can with rocks or sand. Repeat with the other can and dowel rod. Instruct your child to set the cans 3 feet apart. Help your child tie a string or thin rope at the top ends of both dowels, creating the top of the net. Repeat this process, tying the second string two feet under the first. Tape out the play area, inside or out. Make sure your child has plenty of room on each side of the net for chasing the ball. 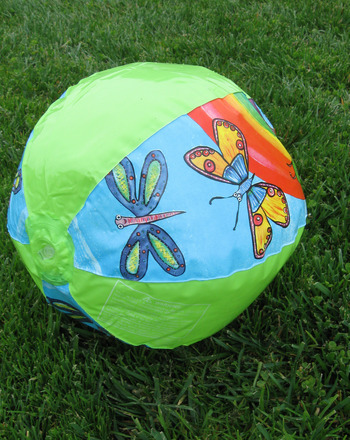 Blow up the beach ball and start playing. This game is perfect for playing with two kids on each side of the net. 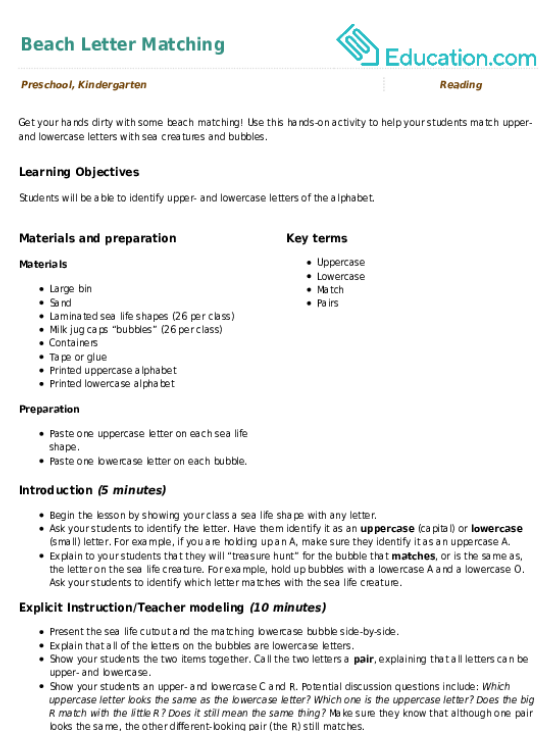 Encourage them to toss the ball back and forth over the net. They can Create their own rules and take turns keeping score. Colour in this beach volleyball player as he dives for the ball! 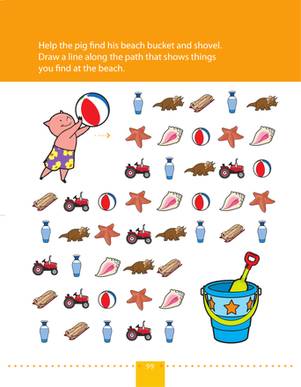 This free game is great entertainment for your kids on a drive up the coast, road trip or visit to the beach. What would you wear if you were going to the beach? 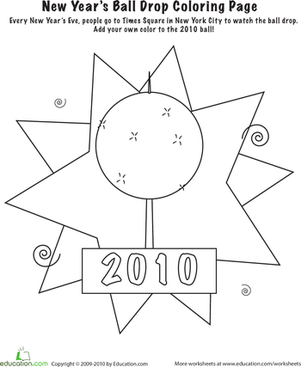 Have some fun with this sunny worksheet all about the seasons. This beach scene is bursting with pairs! Teach your child how to recognise pairs, and learn a little more about counting and numbers with this worksheet. 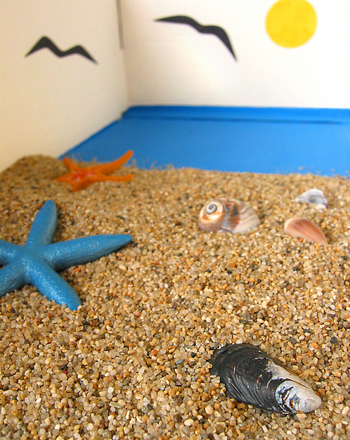 Get your hands dirty with some beach matching! 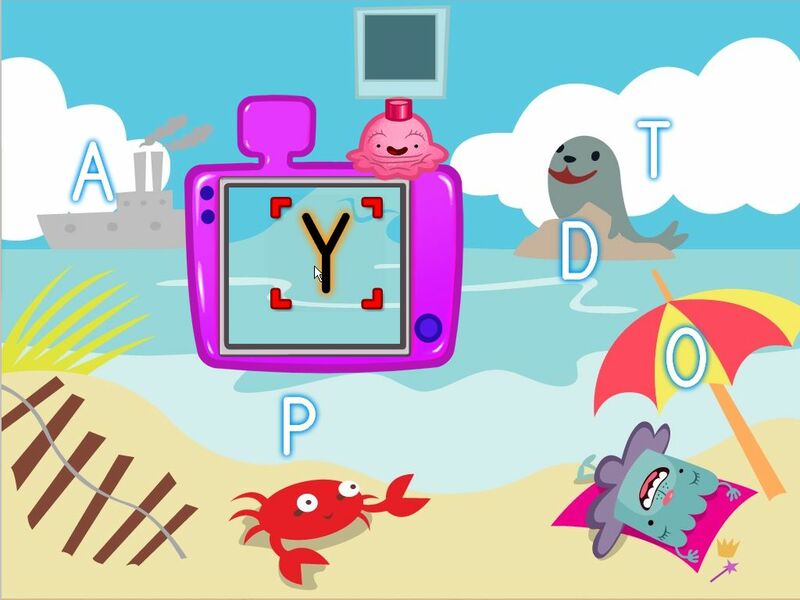 Use this hands-on activity to help your students match upper- and lowercase letters with sea creatures and bubbles.